Mark Selected as Processed: Use this button after selecting orders that need to be marked as processed. 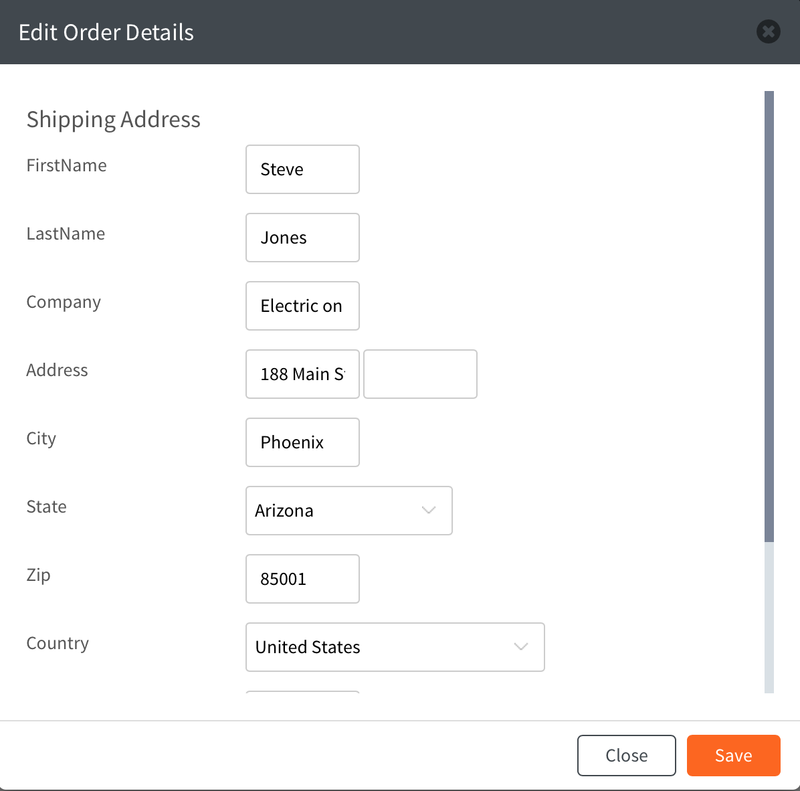 Archive: Archive an individual order or use checkboxes to select and archive multiple orders at once. 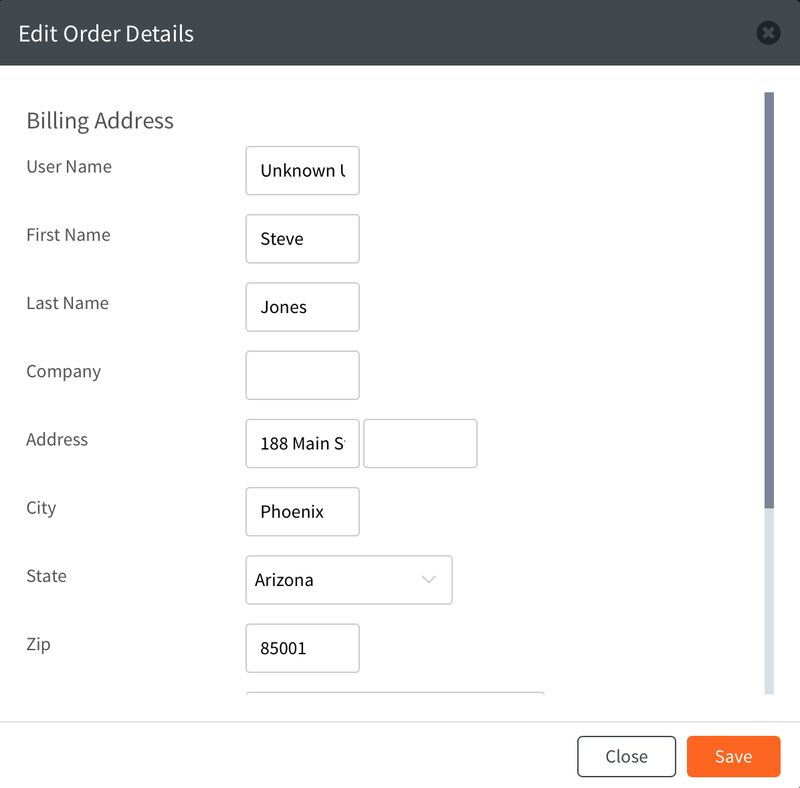 Order ID: Displays order ID for each order. First Name: Displays customer's first name. Last Name: Displays customer's last name. Order Date: Displays order date for each order. 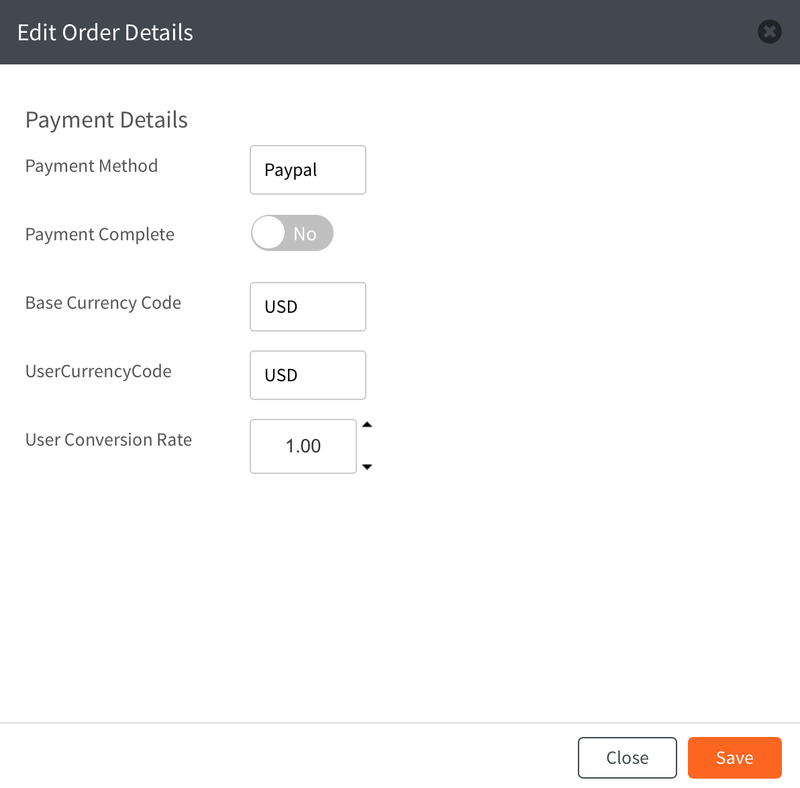 Total: Displays total cost for each order. Shipping Status: Displays shipping status (i.e. Processing, Shipped, Delivered) for each order. Payment Complete: Displays payment status (i.e. No, Yes) for each order. View/Edit: Allows to view or edit an order. 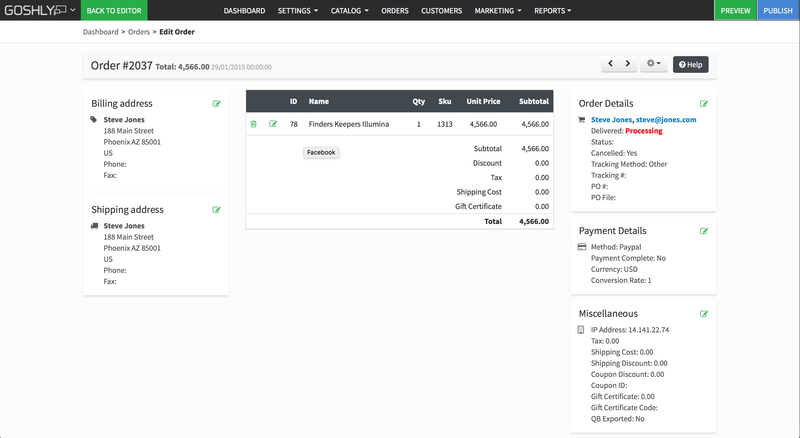 Tracking: Allows to send customer a tracking email or add a merchant note to the order. 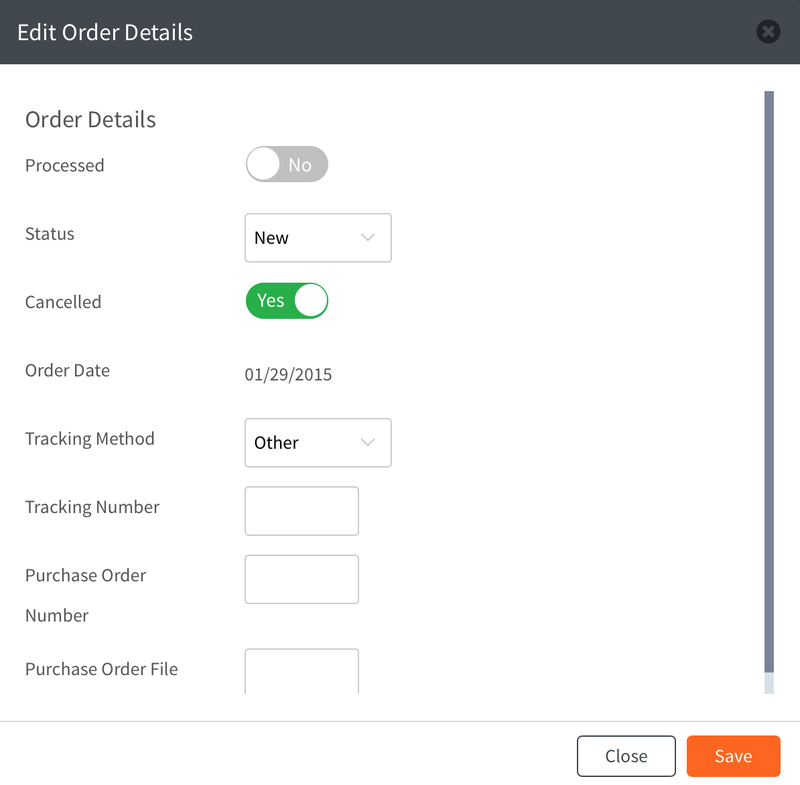 Order Actions: Add order item, view order tracking, or print invoice/packing slip. Billing Address: View or edit (by clicking ) billing address for the order. Shipping Address: View or edit (by clicking ) shipping address for the order. Items Details: View or edit (by clicking ) item details (i.e. quantity, price, etc.). Order Details: View or edit (by clicking ) order details (i.e. status, tracking method and number, etc. ).